Every business owner knows that the best way to close a deal is through a personalized face-to-face meeting with the prospective customer. However, if you are planning to expand your market internationally then a face-to-face meeting with every client may be challenging. So what can you do to capture your global market and ensure long-term success in the international arena? Goal Setting: A clear goal is needed before you embark on an expansion plan to a new region. You should be aware of why you are expanding into the region. This reason should be clearly written down and disseminated to your team. A SMART (Specific, Measurable, Attainable, Realistic, and Time-bound) goal will give direction to your team’s effort and lead to performance optimization. Measure Performance: Once you’ve set your goals, it is important to measure performance against the targets. Performance can be measured monthly, quarterly or yearly basis. A variance analysis will highlight you weaknesses and tell you where and how you can improve future performance. Market Research: Treading in a new terrain brings new risks and opportunities. A thorough understanding of the region that you are planning to enter is a necessary condition for success in the new territory. This may entail a personal visit where you meet with locals, form alliances and truly absorb the local culture. Competitor Analysis: Before expanding into a new region, you should analyze your current competitors. If your product is novel for the country you plan to go to, then evaluate the barriers to entry for potential entrants. An analysis of your competitor’s strengths will allow you to benchmark your own performance. Also you can learn from your competitor’s mistakes and avoid them as you enter the unchartered territory. 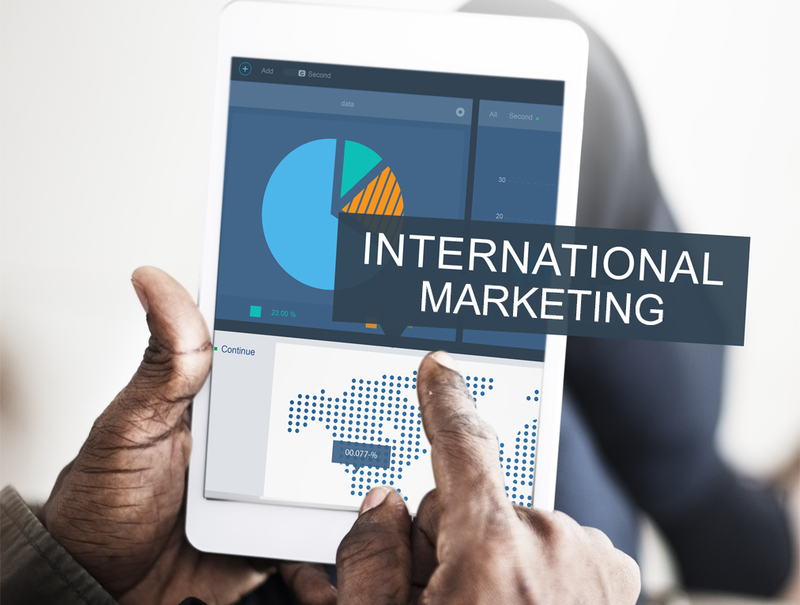 Understand your global customer: The most important step for international marketing success is to truly understand the global audience. You can use call recordings or keyword level analysis to understand your target customer. You need to build a detailed persona of the typical member of your target audience. Once this persona is made your marketing channels and keywords can be tailor-made to appeal to this typical buyer. Cultural Understanding: There are wide cultural variations across countries that need to be kept in mind when marketing internationally. Understanding cultural differences is key to targeting your marketing effort. What is loved in one culture will sometimes be unacceptable in another. A thorough cultural analysis is needed before you can meaningfully expand to a new location. Your product needs to adjust according to the country you enter. For example, if you manufacture a food item in the US and wish to penetrate the Chinese market the words and images used on your product packages and marketing messages will need to conform to the cultural norms of your target audience. You may need to include information in the local language to ensure you appeal to the customers who may not understand English. Team Building: The team that you build must be able to “think global and act local.” Not only must they share your company vision but they must also be minutely familiar with local laws, and consumer behavior. Familiarity with your local consumer’s tastes and preferences is critical to marketing successfully in the international arena. It is a good idea to hire native speakers who understand the subtleties of the local language in your target region. Communication: In order to function effectively, you should have an efficient system for communicating with an international team dispersed across regions. Communication messages need to be disseminated across your cross-functional team in a timely and efficient manner for your company to succeed in the international arena. Consistency: Your target regions may be geographically dispersed but your brand message and identity should remain consistent across territories. Set Realistic Expectations: If your brand is a huge success in the US, does this guarantee success in another region? Not necessarily. Entering a new region presents unique hurdles and opportunities. These will have to be understood and optimized so you should have realistic expectations of success. This will avoid disappointment and frustration if you don’t meet with the same level of success that you experienced in your home country. All in all, expanding your business globally is challenging and presents unprecedented risks and opportunities. The ten tips given above can help you optimize the risk and make the most of potential opportunities.